There are two sizes of blocks to choose from in Patches of Life. 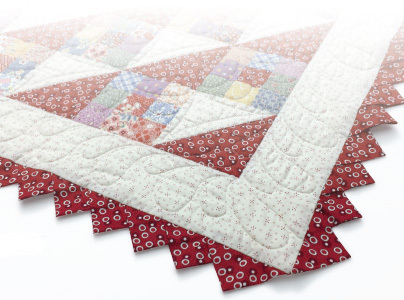 The Queen size quilt is made from 6" finished size blocks. The Nine-Patch uses 2 1/2" strips. Use a Jelly Roll or cut your own assortment of 2 1/2" strips. Triangle Pieced Squares and Triangle in a Square patches are made from 7" and 8" strips. These patches will not take you a lifetime! Quilt with a friend and you will get the patches done in one evening. Teresa's design was inspired by the Barn Raising layout from the original Log Cabin book. 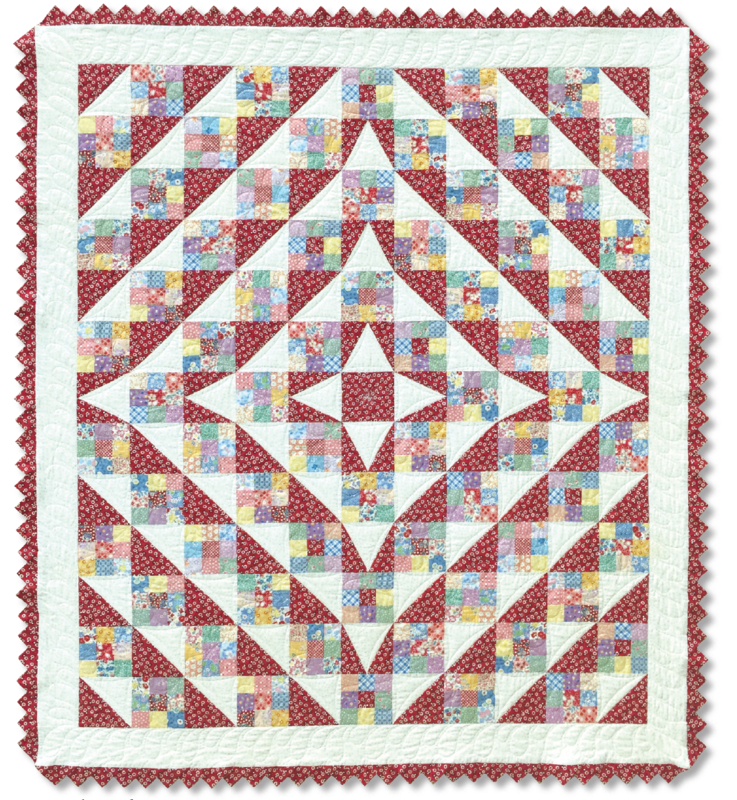 She used a combination of Nine-Patch blocks with Triangle Pieced Squares and Triangle in a Square patches to give this quilt a sharp look. Instructions are included for Lap and Queen.